ViewRanger, the award-winning free GPS navigation and trail creation app, has launched V4.1 this week with unique ‘TripStories’ feature. The update makes it even easier for users to share their outdoor adventures where and when they happen on social media sites by improving integration with apps such as twitter and Flickr. 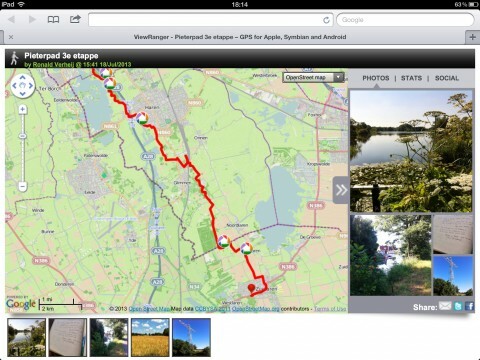 ViewRanger’s ‘TripStories’ feature allows users to record GPS tracks of their outdoor experiences, whilst create a dialogue with geotagged photographs and tweets. The TripStory can then be shared with friends or fellow enthusiasts, who can also comment on the track. One of the new features in V4.1 is that users are now able to share their TripStory from within the app, on social media sites such as twitter and Facebook – bringing a new immediacy to the action. (The update is available now on Android and awaiting approval from Apple). “This update acknowledges the enthusiasm of our users not only to track and record their routes for their own information, but also to share them with others who have similar interests. “For example twitter is used to provide an instant reaction, to a user’s experiences as and when they happen. We now have twitter card support, allowing our users to show off their TripStories within the twitter site or app. When a user shares their TripStory on twitter, and the tweet is viewed, a preview map of the track, and up to 3 pictures tagged to the track are shown. “In addition to updates on our tracking features, we have also made improvements elsewhere. The new in-app Activity Feed is particularly useful as it allows users to follow the adventures of their favourite ViewRanger users. As well as its sophisticated tracking technology, the ViewRanger app also allows you to download to your phone a choice of free maps, or paid-for Ordnance Survey mapping. Once the map is on the phone it can be viewed without a mobile signal, however, your location is visible at all times using GPS. 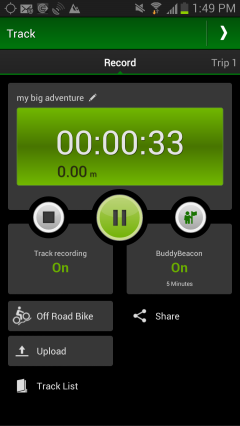 Share your track or buddy beacon from within the app on social media sites such as Facebook and twitter, or via email. 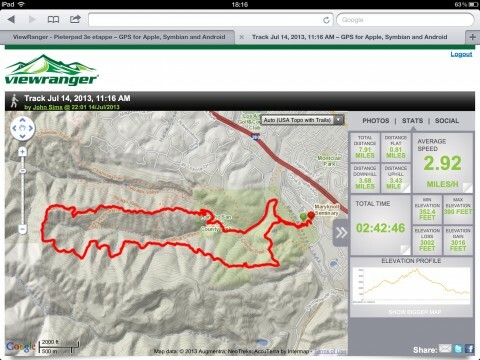 If a user clicks on a ViewRanger link, it will open in the ViewRanger app. .gpx files can now be shared via email. The Track Record panel has been redesigned so tracks can now be edited on one screen.